The IPS ALMOST SILENT DRILL SYSTEM also known as the STEALTH, is exactly that and one of the quietest available silent drilling systems. This is the new 2015 version with several major improvements and upgrades. Developed specifically for use by Anti-Terrorism, Military and Law Enforcement agencies this new low noise drilling system is the result of many years operational experience. In hostage situations, knowledge is vital to a successful outcome and the technique of low noise drilling allows audio and visual intelligence to be gained without alerting the hostage takers. Unlike other drills the I.P.S. version will successfully drill through a wide range of construction materials using specially developed main drills for long access holes and pinhole drills for the final breakthrough. 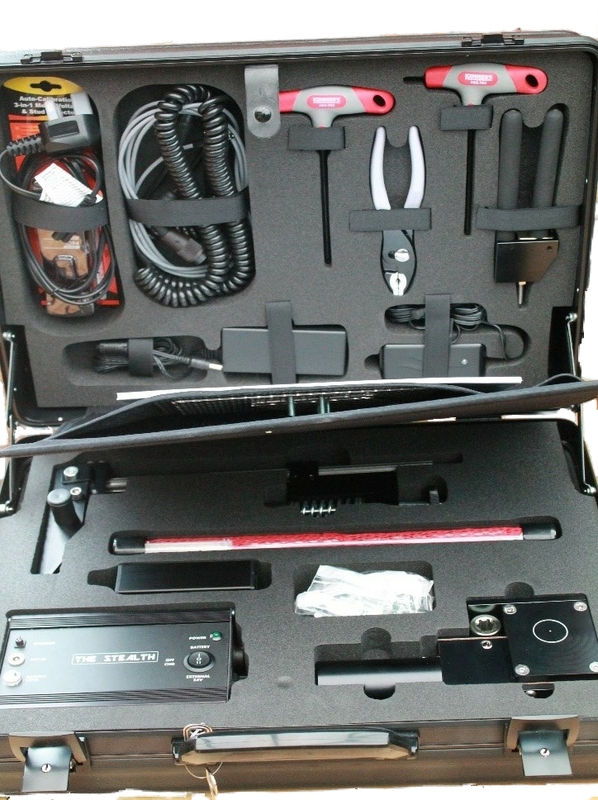 The manufacturers are able to offer a complete family of micro endoscopes and audio probes to compliment the IPS system. 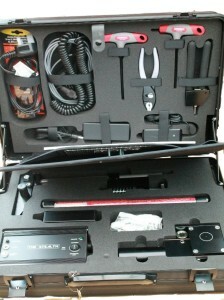 The complete system is stored in a discreet briefcase to enable quick set-up & user friendly operation. It has several major new features for 2015, including a new integral rechargeable battery pack, control panel and remote hand controller coupled to corrugated cable up to 10 feet from the wall being attacked. A more powerful motor and gearbox which combine to produce a high torque to the drill head. THE STEALTH Low Noise Drill has been designed to enable specialist operators to covertly gain access by drilling through a wall to a target room, or building in order to obtain vital audio or visual intelligence before a Rapid Intervention is made. In standard form this latest system does not use water to cool the drill bit, which in the past could compromise an operation by leaking water into a target location, or clogging the drilling equipment.